Dwyane Wade is currently out of action for the Miami Heat due to an injury, by the electrifying guard is currently making noise with the release of another colourway of the Jordan Fly Wade 2. 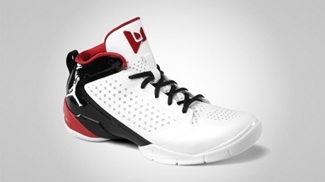 Wade’s second signature shoe with Jordan Brand was recently released in White/Varsity Red-Black colourway and was well-accepted in the market. The new Jordan Fly Wade 2 features a combination of Lunar Foam and Fuse, producing a top-notch performing shoe suited for Wade’s play inside the hard court. Grab your own pair now and you will surely get your money’s worth!